EDIT JANUARY 2019: I’m hoping to rebuild this sub-class, as I’m not content with it. In the meantime, this outdated draft will still be here. As interest in advancing technology increases throughout the lands, it affects the arcane arts as well! At a certain point, the two forces combine into a new art all to its own. After ages of industry and innovation, the lines between magical arts and high-technology begin to blur as the two fuse into a new art form; technomancy! Unlike other schools, technomancy is a secretive and overly protective art. Technomancy schools are mostly an underground movement of mages seeking out protégés worthy of their bizarre findings. Many of these schools are found near bastions of technological progress or even by sites of highly advanced ancient civilizations. However, many have gone out of their way to make technomancy a more accepted artform. Through elaborate shows and independent shops, these clever mages have shown their talents the world at large. In the end, all they hope to accomplish is proving that technomancy is merely a more inventive side to magical arts. Others have more insidious agendas. For them, their super-science is the next logical step for the world, one where older forms of magic have no purpose. They believe themselves to be order, which must stamp out the chaos of raw magicks. 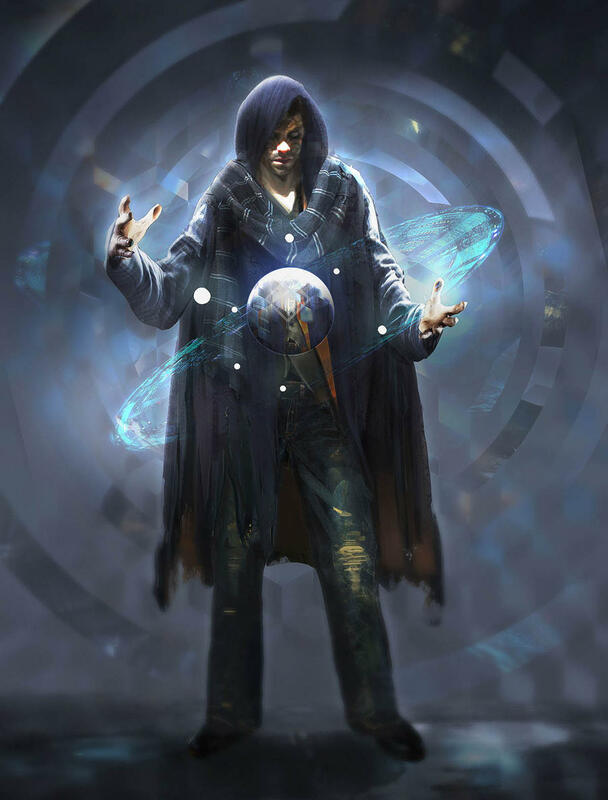 Author’s Note: My idea was originally quite similar to the Unearthed Arcana: Eberron take on the the Artificer, so I’m changing it up a bit as a result. Upon taking this archetype at level 2, you gain mending as a cantrip if you didn’t have it already. In addition, you are proficient with Tinker’s Tools. You can substitute Intelligence checks to understand technology with an arcana check instead. In addition, when extensively training with a technological item, you only require 25 days at most. If this item is armor, you must be proficient with the category (light, medium, heavy) before being able to use it yourself. However, in the process you sacrifice some of the ease of spell preparation. While other spellcasters spend less gold and time to inscribe spells from a certain school, you do not. Your knack for creation has lead to you creating small companion constructs. Upon reaching level 2, you gain Find Familiar, if you don’t have it already. However, companions created by this are considered constructs. They don’t need to eat or breath, they are not affected by poison/mind-affecting abilities/exhaustion and are immune to poison damage. Components required to cast this as a ritual cost twice as much as normal, due to the intensive labor and construction that goes into your companion. When you reach level 6, you can channel your own magical power into a technological item. As a bonus action, you can transfer as many charges into the item as the level of your spell slot. If these charges aren’t used within 10 minutes, they will disappear. You must take a short or long rest before using this ability again. When you reach level 10, you can use your arcane talents to alter and sometimes even trick machines! By upgrading a spell by 1 slot, you can use enchantment and related spells on constructs and machines to briefly “hack” them to your bidding. This otherwise works like the appropriate enchantment or mind-altering spell (such as a frightening ability). Normally, spells like these wouldn’t affect constructs. When you become level 14, you can now replicate arcane-fueled technology with ease! You can create a robotic construct that shares your stats and 1/2 of your total hit points. You must spend 1 long rest creating this robot after spending the amount needed for components. It can use a slam attack (1d6 bludgeoning), is immune to poison damage, poisoned condition, mind affecting conditions, and is weak against any electrical based damage. You never have to buy your own companion, but it costs 1/2 of the normal cost to buy supplies. Assembly of a new companion takes 1d4 days of downtime and you can never have more than 2 companions active at once. In addition, you may dedicate a long rest to salvage and repair a “dead” robotic companion without spending anything, as long as you had one prior. Upon reaching level 18, it costs 1/4 (rounded down) due to your ability to recycle parts and re-purpose them. Don’t want a straight up sci-fi class? It shouldn’t be too hard to make this a different type of Artificer. If you’re using the Eberron setting, the Robotic Companion is just a warforged that you created. Perhaps your technological items are merely weapons and armor with infused magic. Abilities to give charges to technology is giving ” specialized magical items” charges instead.